The current quarter, which started in January and lasts through the end of next month, is expected to be the first three month period in the history of the iPhone to show a decline in year-over-year sales. Apple had to fire on all cylinders to make sure that it could report higher iPhone sales for the fiscal first quarter. After all, the fiscal first quarter of 2015 saw Apple sell a then-record 74.5 million iPhones. Somehow, Apple was able to achieve the impossible. It topped last year's record by reporting iPhone sales of 74.8 million for the first fiscal quarter of 2016. Not only are fiscal second quarter iPhone sales expected to drop below last year's figure, we could see a record low number of iPad shipments at the same time. Digitimes Research predicts that the company will deliver 9.8 million slates during the January through March time period. That would be a decline of 39.1% sequentially from the fiscal first quarter, and a 20% decline in iPad shipments year-over-year. Digitimes Research sees a total of 46.65 million tablets shipping in the calendar first quarter (which corresponds to Apple's fiscal second quarter). That will be a 28.6% drop sequentially and 8.6% decline year-over-year. Apple will account for 21% of global tablet shipments, followed by Samsung's 14%. Lenovo and Amazon will be third and fourth with 7.2% and 5.8% of the global tablet market, respectively. Huawei will be fifth with a 4% slice of the global tablet market. The rest of the top ten will start with Asus at number six (2.7%). Microsoft and TCL will tie for seventh with 2.6% of the market for each of them. That leaves LG at number nine (1.8%) and Acer at number ten with 1.2% of the market. What screen size will be the most popular? 7-inch tablets will lead the way, predicts Digitimes Research, accounting for 35.4% of shipped slabs in Q1. Thanks to the popularity of the iPad mini, 7.9-inch screens will make up 13.8% of global tablet deliveries in the first quarter. 6.1% of global tablet shipments in Q1 will be made up of units carrying an 8.x-inch screen. 9.x-inch shipments will account for 23.8% of tablets in transit during the three month period, thanks to the iPad's 9.7-inch glass. 10.1% of shipments from January through March will be made up of slates with a 10.x-inch display, and tablets featuring a display 11.x-inches or larger will account for more than 10.8% of Q1 deliveries. 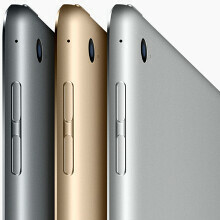 A very simple solution in order for the ipad to gain sales, is to reduce the price to a meaningful level. Like under $900. Lol, for a sec I thought iPhonearena had stopped censoring the word "crappIe"...that'll too unbiased of them. That record low will probably still smoke the rest of tablet sales. Big business as usual. They need to drop the pricing, the iPad Pro is especially ludicrously priced, I decided to get an iPad Air 2 64GB LTE, as I simply wasn't prepared to pay MacBook Mini prices for a giant iPad. 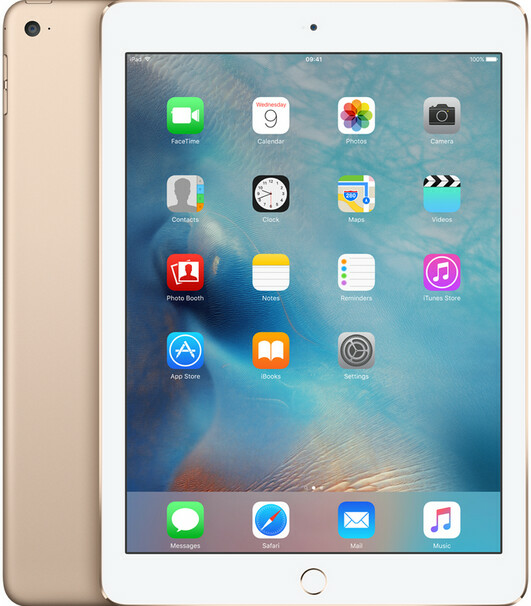 The iPad Mini 4 128GB is probably the iPad to go for for those who can handle a smaller display. Love my nexus 7 and my ipad air 2 but next one i get is the nexus 9 :) Much more interesting pricing to be truthfull and i can use my very Large app librairie from android i accumulated over time. I can't stand Android on tablets, the devs seem to shun it, it's been 5years now, still very little truly tablet friendly Android apps, huge contrast to Android smartphones where the dev support is so abundant, this is hey my phone is Android, and tablet is iOS.